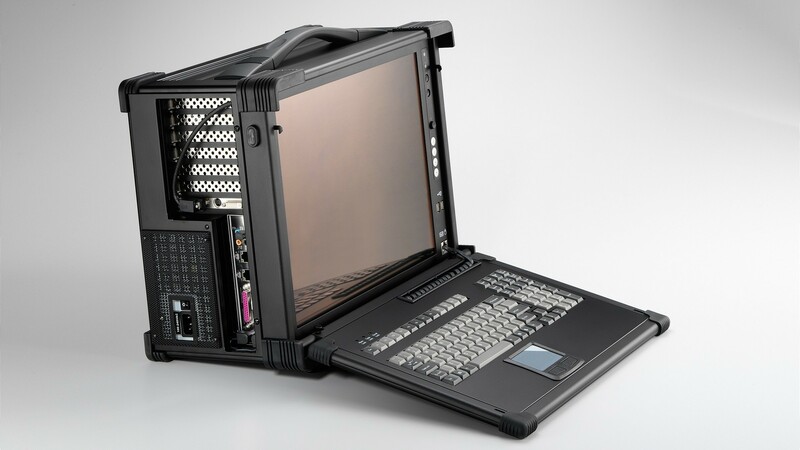 Suitable for harsh environments, the EMPs are robust, lunchbox computer chassis that are built with heavy duty metal. The LCD of the EMP is also guarded with anti-glare tempered glass for added protection. Compatible with ATX motherboards and supporting 7 full-length expansion slots, the EMP 370 can be freely configured with numerous unique expansion cards. Every EMP comes equipped with dual system cooling side fans and easy access to its expansion ports for immediate system upgrade or maintenance. It is designed to meet MIL-STD 810F and EMI requirements while maintaining full compatibility with the latest commercially available processors and components to create an extremely cost-effective unit.